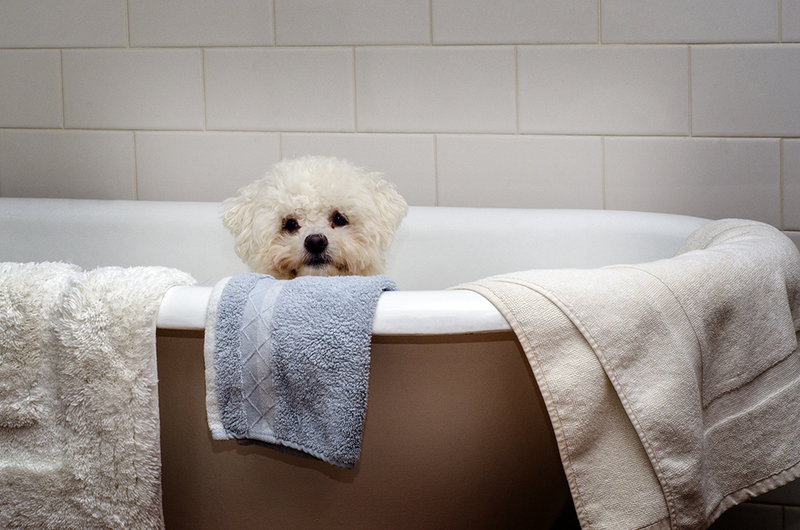 Little Bella has never really been fascinated with our bath – up until this evening when she jumped in. Luckily the bath was empty but even then she discovered that jumping in the bath is a lot less scary than jumping out. So she sat there, and sat there, and sat there until she was finally rescued. But not before the obligatory photo had been taken. This entry was posted in New Zealand, The Dogs, Wellington and tagged bath, Bella, bichon frise, dogs, villa, Wellington by toscanakiwi. Bookmark the permalink.